The Capitoline Museums (Musei Capitolini) are an association of several museums on the Capitol Hill in Rome. Also the museum name in the Singular, Capitolisches Museum, is used. The Capitol Hill is one of the 7 ancient hills of Rome. The hill with the museum is about 500 meters away from the Colosseum Rome. 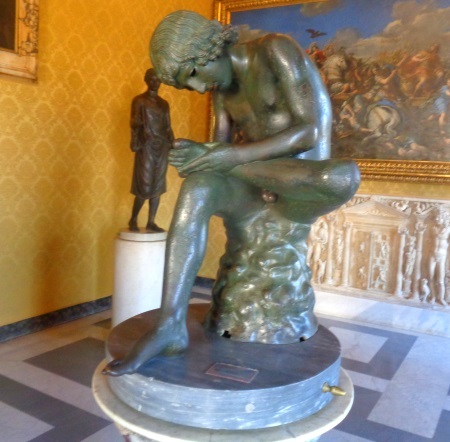 The main focus in the Capitoline museums is ancient and modern art, especially sculptures. However, there is also a large collection of paintings (Pinakothek) with some world-famous pictures. The Capitoline Museum is one of the largest and most visited museums in Rome. But above all the Vatican Museum is much better known and largest. The exhibition was already opened in 1471 by Pope Sixtus IV. The Capitoline Museums are thus considered to be the oldest still existing museum in the world. The following is a small overview of the most famous exhibits in the museum on the Capitol Hill in Rome. This is perhaps the most famous exhibit in the Capitoline Museum of Rome. The huge statue, over 4 meters high, dates back to the 2nd century AD. It depicts the Roman emperor Mark Aurel, who lived in this century. 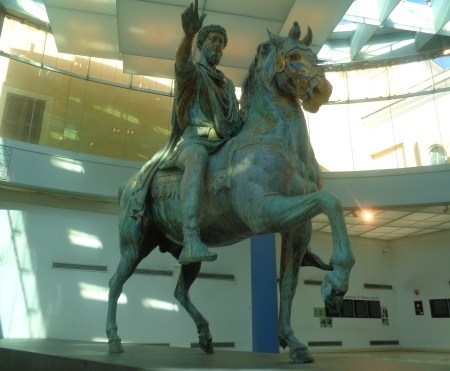 The sculpture with the emperor on horseback was a model for many other equestrian statues in later times. It is one of the most famous bronze sculptures in the world and probably also the largest exhibit in the museum on the Capitol Hill in Rome. Also a world-famous work of art. Almost everyone has seen it in some context. 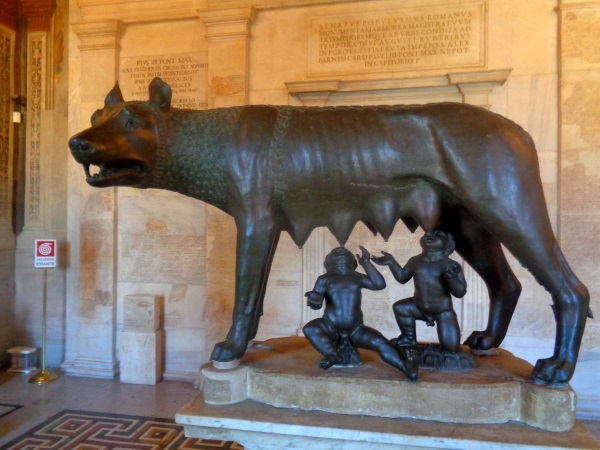 According to a myth, Rome was founded by the twins Romulus and Remus. The two boys are said to have been abandoned when they were babies and to have been suckled by a she-wolf. This is the work of art Capitoline Wolf. The figure of the Capitoline she-wolf is extremely old, probably from the 5th century BC. However, the two boys were added later after investigations, about in the 15th century. The antique Boy with Thorn was later adopted by many artists, also in the Renaissance, as a motif for sculptures. The museum is divided into several buildings. The two main buildings have been connected by an underground passage for some time. Thus, you do not have to leave the museum if you change the buildings. You simply go into the cellar of one building and walks along the long corridor that ends in the other main building of the Capitoline Museum. The two buildings are the Conservator’s Palace and Palazzo Nuovo. Now all parts of the museums are accessible through an entrance. The entrance is in the Conservator’s Palace. Pope Pius iV donated many antique works of art from the Vatican Museums to the city of Rome in the 15th century. The city of Rome opened an exhibition on the Capitol Hill in 1471, the first museum in the world. Besides the above mentioned famous sculptures, there are also famous paintings in the Pinakothek (Picture Gallery) of the Capitoline Museums. These should not be missed, there are among others pictures of Rubens, Caravaggio and Titian to see. There are also other exhibitions in the museum on the Roman capitol hill like a great coin collection. The normal entrance fee is 15 Euro. Children under 6 years can enter the museum free of charge. There is also a discount of 13 Euro. We find that the entrance fees to the Capitoline Museums are relatively high. But as you get to see a lot of world-famous things and it is a big museum, the price is somehow justified. The museum is open almost every day of the year. The opening hours are from 9:30 to 19:30. Exceptions: The museum is closed only on the 3 most important holidays in Italy: New Year, May 1st and Christmas Day. 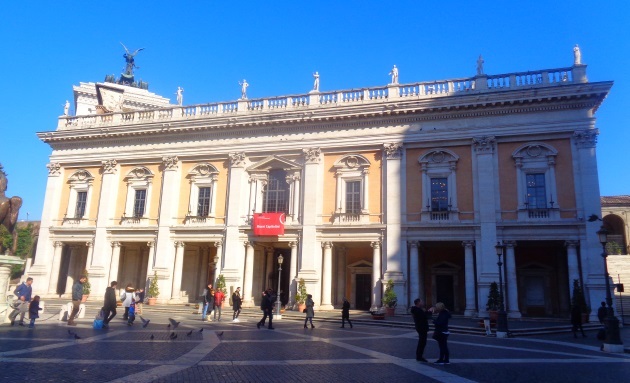 On Christmas Eve and New Year’s Eve the Capitoline Museum closes at 2 pm. On all other days in the year 9:30 to 19:30. In the immediate vicinity is also the interesting, gigantic monument Vittorio Emanuele, one of the largest monuments in the world. The Colosseum and the Forum Romanum are also close by. After the museum you can also visit the Tiber Island and the Circus Maximus Rome. One is in the Capitoline museums in the middle of the center of the ancient Rome.